a new corner of my office filled. 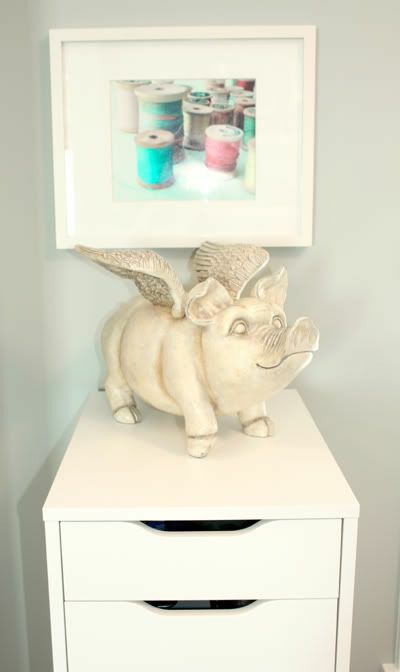 my sentimental wilber the flying pig finally finding a home. a lovely print gifted to me by my sweet sis-in-law. 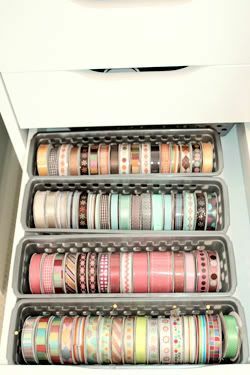 the perfect storage shelf to organize my crafting chaos. baskets upon baskets filled with colorful ribbon. felt. fabric. goodies galore. this collection of simplistic colourful vintage posters. perfect for the new playroom. and this quirky customizable superhero print is just too perfect for my hubs & i.
i'm not a watch-wearer but if i had this pretty little time-teller, i may just start. these colourful, ceramic spice jars would be all too pretty in my new pantry. i picked up this set of ramona paperbacks by beverly clearly for H. these were my fave reads when i was little. i'm excited for her to dig into them when she's older... but for now, i think i'll sink into them and knock another item on my 32 before 32 list. and happy dance parties and tasty tea parties.